I am not in a sorority and I do not necessarily identify with Greek life. Nevertheless, I find them to be institutions that deserve admiration. The closest interaction I had with one this semester was Sept. 17, when I found myself in a cloud of glitter and Chanel No. 5 perfume. Out in the distance, you can hear high pitch cheering and chanting from your dorm on the sixth floor of Straz. Your Snapchat story is overflowing with pictures and videos of a myriad of excited girls in Pepin Stadium. It’s bid day and everyone on campus knows it. Bid day is one of the final stages of the recruitment process. This is the day where potential new members receive bids to join chapters and become new members, in essence: sorority Christmas. Victoria Leyboldt, a senior communications major from the Sigma Kappa sorority, described bid day as exciting and crazy. Due to the energetic and vibrant environment, if I did decide to rush, I too would be psyched to join such an enthusiastic society. To instantly be put in a pool of a 100 girls that could potentially become deeply involved with you and turn into close friends in a matter of weeks is incredible. In fact, from what I see from my friends’ experiences, sororities at UT give me a sense of inclusion and sympathy. When I first arrived to college I more so expected a Pitch Perfect or Legally Blonde type of situation but these movies extremely skewed what sororities truly represent. The mission of the UT Panhellenic council is to advance the commitment, personal growth and sustain women leaders in the seven chapters of the National Panhellenic Conference. With these goals, one of the most interesting aspects of sororities are their philanthropies. This positive involvement in community service is something that is not represented in the media accurately, only the stereotypical negative aspects are amplified. As a result, it is important to understand that sororities engage in very meaningful service opportunities which vary from from issue to issue. For example, Delta Zeta works with speech and hearing while Sigma Kappa works with the Alzheimer’s Association. 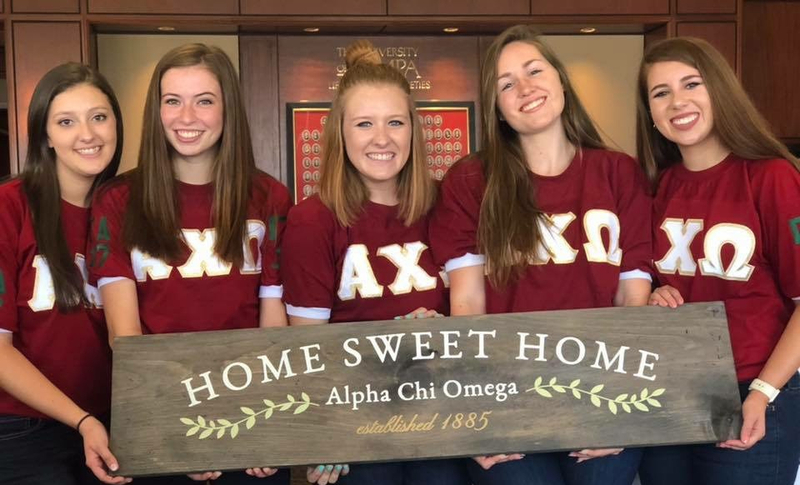 Not only do sororities engage in community service but they also allow for these young women to be part of a network that could potentially help them develop their career. Sororities help by connecting students looking for internships, employment, recommendations during their college years or once they graduate. These connections are possible because employers know that they share common values. Being in a sorority can be a big time commitment but a very rewarding experience according to Lexi Leigh Guevremont, junior psychology major, Delta Zeta.